Following a decision by the San Luis Obispo City Council this week, SLO’s parking rates are set to rise over the next few years. 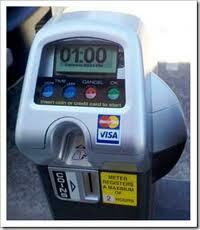 Metered parking rates in downtown San Luis Obispo will start increasing at the beginning of next year. Currently, it costs $1.50 an hour to park in the downtown super core area. That rate will rise to $1.75 in Jan. 2018 and to $2 in July 2020. Downtown core parking rates will rise from $1.25 to $1.50 next year and to $1.75 in July 2020. The outer downtown parking rates will increase from 75 cents to $1.00 in Jan. 2018 and to $1.25 in July 2020. Drivers who park at metered spots in the outer downtown area have the option of purchasing monthly or quarterly parking permits. The monthly parking permits will increase from $40 to $60 next year and to $80 in July 2019 and $90 in July 2020. Quarterly parking permits will rise in price from $120 to $180 next year and to $240 in July 2019 and $270 in July 2020. The cost of using city parking structures is also going up. The hourly rate at city garages will rise from $1 to $1.25 next year. In July 2020, the hourly rate will increase to $1.50. For residents who live in parking districts, annual residential parking permits will increase from $10 to $15 next year, and they will rise to $20 in July 2020. Additionally, drivers who have a habit of letting the meter expire will being may more in parking fines. The fine for parking at an expired meter will increase from $33 to $40 next year. Fines for other violations, like parking in a a passenger loading zone or parking in a lot without a permit, will also increase by $7. Why does parking have to be free? Anyway they can steal more money from the public so they can cover their asses just a little bit more. Dont forget the city is in over $100 Million of debt and rising. There should be free parking for residents in the downtown during the week by issuing a sticker to put on your vehicle for a MINIMAL charge. This is obviously an increase to cover the impact that the tourist industry is bringing to town. I still think there is free parking on Saturday and Sunday, not really sure because I don’t care to go to SLO anymore, If so they should amp up the parking fees on weekends for the tourists and ticket them since they are bragging about all of the money they are making off of tourists. Let’s share the wealth with the citizens instead of the bureaucracy?